Detroit, existing as a port city and early home of steel and oven making, grew with the transition of the carriage industry into the auto industry. 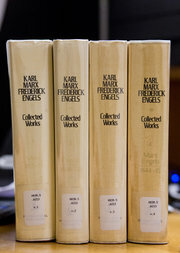 Henry Ford’s assembly line methods drove the development of gigantic industry and monopoly finance and created the foundation for the industrial city model. Mechanized agriculture kicked eleven million sharecroppers off the land; six million white, five million Black. These folks migrated from the Southern farms, ultimately ending up North, seeking work in an expanding industrial economy. The introduction of electronics into industry drastically reduced employment while increasing production. In the shell of boom town Detroit, industry continues unabated. It’s just that the workers are no longer working. The same article quoted above goes on to describe the social and political response to the destruction of Detroit, beginning with a 1990 “Emergency Manager” law. Following the age old pattern of divide and rule employed by American capital, Michigan targeted the mostly smaller cities with majority African American populations that had been devastated by this same phenomenon. Beginning with Benton Harbor in Southwestern Michigan, the Governor used the the town’s financial woes as an excuse to appoint an emergency manager, who then assumed the day-to-day operations of Benton Harbor. In essence, he ousted all the individuals and bodies elected by the people. He furthered the process of taking over public land on the Lake Michigan coast that had been park land allocated for the use of the people of Benton Harbor, nearly all African-American, with a high rate of poverty. The Emergency Manager spearheaded the efforts of Whirlpool, the dominant corporation in the area, to construct a PGA level golf course on the park land along with a huge high income condominium development. Working against this corporate takeover for over two decades, Reverend Edward Pinkney and the Black Autonomy Network Community Organization (BANCO) has come under attack time and again. The People’s Tribune newspaper has covered this story from the beginning, from before it was national news. Reverend Pinkney has written a regular column on the back page of the People’s Tribune, bringing readers up to date each month as events unfolded. He was arrested in the past for voter fraud, jailed, convicted, and had his conviction overturned. All this because he has dared to stand up to Whirlpool, the Emergency Manager, and the development of fascism in Michigan. Now he has been arrested again, placed on house arrest, warned not to use his computer lest he be jailed, . . . on trumped up charges of voter fraud, as he has attempted to pursue the recall of the current mayor of Benton Harbor. Here is the latest news from Benton Harber, via Gordon Matthews and BANCO. When you finish reading this, I urge you to contact Pinkney to contribute financially to his defense, and to spread the word about the fascism in Michigan, coming to your city soon. Rev. 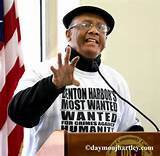 Pinkney and others led a petition drive to recall corrupt Benton Harbor mayor James Hightower. He’s known for acting in the interest of Whirlpool, not the residents. Four Benton Harbor voters wrote letters to the Berrien County Clerk stating they wanted their names removed from the recall petitions they signed. We can only guess what tactics were used by Hightower or law enforcement to obtain permission from these four voters to “write” the letters. Apparently the identical letters didn’t cause the county clerk to blink an eye. In Berrien County, everyone falls in line. Go along to get along. The letters were the basis for a huge show of armed force at Rev. Pinkney’s house last Thursday, April 24. Surrounding the house were approximately 30 officers — an effort to intimidate Pinkney. They also drove up and down his street, over and over. Can you imagine this happening across the river in St. Joe? Mayor Hightower was losing the election 4 to 1 according to on-the-ground conversations, reports Rev. Pinkney and other petitioners. So Whirlpool, Lakeland Hospital, Berrien County prosecutor Michael Sepic, Sheriff Paul Bailey, and mayor Hightower came up with a scheme. They found four people to help them manufacture (false) evidence by “writing” letters to the court. That would enable them to charge Pinkney with election fraud. I’m asking that my name be withdrawn from the petition regarding the recall of Mayor James Hightower. Deception was used and the petition was misreprented by the person that gave me the petition to sign. I was told it was to receive taxes from Whirlpool. Again, please remove my name from this petition. I was given false information before signing. for acting in the interest of Whirlpool, not the residents. Four Benton Harbor voters wrote letters to the Berrien County Clerk stating they wanted their names removed from the recall petitions they signed. We can only guess what tactics were used by Hightower or law enforcement to obtain permission from these four voters to “write” the letters. 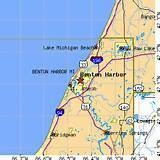 Here are more references for information on Benton Harbor, Michigan, and the political significance for the rest of us.